CCleaner for Windows 10 - A well-known program that helps to ensure the security of a personal computer by cleaning and optimizing the system. It allows the operating system to work faster by freeing up space on the hard drives. The utility deletes dangerous, unused, suspicious files and folders, cleans the history and cache of browsers. It erases unnecessary registry entries, does not contain spyware and additional modules, stands out with good speed. The product has a wide range of additional sections, functions, tools, plug-ins. 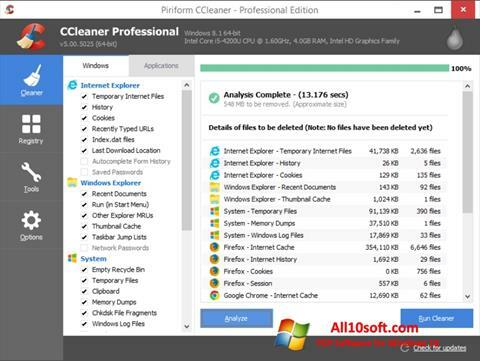 You can free download CCleaner official latest version for Windows 10 in English.